Madlib has promised to release at least twelve albums in 2010, along with several Yesterdays New Quintet adventures and collaborations such as this production gig for Los Angeles hard knock trio Strong Arm Steady. 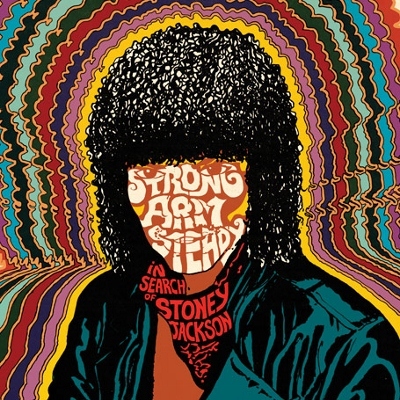 How In Search of Stoney Jackson will measure against the eventual deluge is anyone’s guess, but it sounds as if the eccentric beat master is off to a, uh, strong start. All of Madlib’s tricks are in evidence here, including wacky, laugh-out-loud samples, tasty head-nod loops and a dusty, scratchy-record tone. Admirably, Strong Arm Steady manage to keep up with him, offering inspired rhymes on dietary methods (“Chitlins & Pepsi”), the current recession (“Best of Times”) and, of course, thuggin’ out (“Bark Like a Dog”). This entry was posted in Reviews, Short Cuts and tagged Rhapsody, Stones Throw, Strong Arm Steady. Bookmark the permalink.